Asteroids (or comets) whose orbits bring them close to the earth's orbit are called near Earth objects. Some of them are old, dating from the origins of the solar system about four and one-half billion years ago, and expected to be rich in primitive materials. They are of great interest to scientists studying the young solar system. Others, of lower scientific priority, are thought to contain minerals of potential economic value. NASA has announced its interest in sending a manned mission to a near Earth object. The NASA Asteroid Robotic Retrieval Mission concept involves the capture of an asteroid, and dragging it onto a new trajectory that traps it in the Earth–Moon system where it will be further investigated by astronauts. 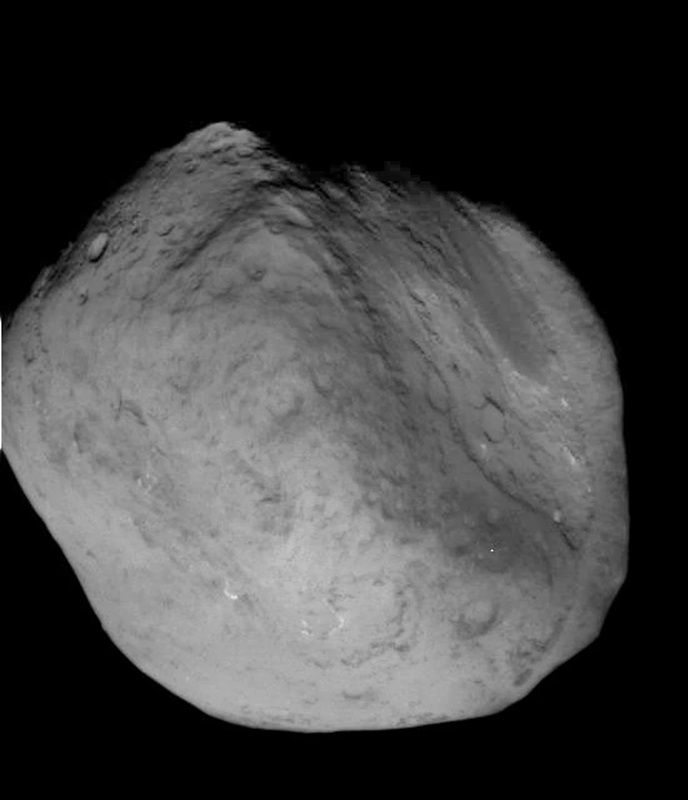 The current mission design requires the target asteroid to have a diameter of seven to ten meters. The object NEO 2009BD is a prime candidate for this retrieval mission. It was discovered on January 16, 2009, at a distance from the Earth of only 0.008 AU (one AU is the average distance of the Earth from the Sun). Its orbit is very Earth–like, with a period of 400 days, and it will end up close to the Earth–Moon system again in late 2022 when the proposed capture would take place. It seems to be a perfect candidate, with a time frame that allows for proper mission planning. The problem is that the size of the NEO 2009BD is uncertain, and thus its density and composition are also uncertain, but first estimates are that it likely falls in the diameter range specified by the mission. The uncertainty arises because it was detected at optical wavelengths; they measure reflected light, which is a combination of both an object's size and reflectivity (albedo). For NASA mission planning to succeed, a more direct size measurement of 2009 BD is needed—and soon, before its increasing distance from the Earth makes such an observation a practical impossibility. CfA astronomers Joe Hora, Howard Smith and Giovanni Fazio have been regularly using the IRAC camera on the Spitzer Space Telescope to measure the infrared emission of near Earth objects, and (with some modeling) deriving both the sizes and densities of these objects. They received special observatory time to study NEO 2009BD, and in an upcoming issue of the Astrophysical Journal they and their colleagues report on their conclusions. They did not detect the NEO 2009BD to a very low light level, implying that it is very small, probably only about 2.9 meters in diameter, and modeling suggests it has a rubble-pile composition. This is the smallest object ever reported on by Spitzer; whether it is still suitable for a NASA mission is now something that the NASA Retrieval Mission team must determine. "Constraining the Physical Properties of The Near–Earth Object 2009 BD," M. Mommert,J. L. Hora,D. E. Trilling,S. R. Chesley and D. Farnocchia,D. Vokrouhlick´y, M. Mueller,A. W. Harris, H. A. Smith and G. G. Fazio, ApJ, 2013, in press.